Events — Dagr Group Inc.
Policy Slam is a forum for students and professionals in a variety of fields to propose new solutions or alternatives to existing policies to benefit global security. Policy Slam emphasizes the importance of being critical, and keeping an open ear to the junior and mid-level professionals in any industry. It has been a century since the Baltic nations of Estonia, Latvia, and Lithuania first gained their independence. Suffering the double occupations of Nazi Germany and the Soviet Union, these three countries have emerged since the fall of the Iron Curtain as members of the European Union and NATO and models of successful transition in the post-Soviet sphere. But Russian revanchism since the annexation of Crimea has placed the Baltic region on edge, and exposed it as 'NATO's Achilles Heel.' Just how serious is the Russian threat to the Baltic region? What is the extent of Russian malign influence in the region? What can be done about it? Join us for a panel discussion from experts and practitioners to find out more. 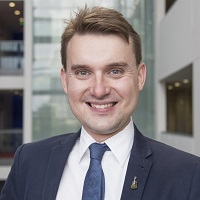 Dr. Alexander Lanoszka is a lecturer at the City, University of London’s Department of International Politics and non-resident fellow at West Point’s Modern War Institute. His research on alliance politics, theories of war, and European security has appeared in International Security, Security Studies, International Affairs, Survival, Parameters, and other academic journals. Alexander holds a BA from the University of Windsor and a PhD from Princeton University. Aliide Naylor is a British journalist and editor, and the author of the forthcoming book 'The Shadow in the East: Vladimir Putin and the New Baltic Front,' to be published in September, 2018 with I.B. Tauris. 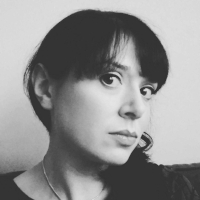 She spent 3-4 years based in Russia, and has written extensively for New Statesman, the Guardian, New Eastern Europe, Global Voices, POLITICO Europe, The Moscow Times, and Russia! Magazine. Lieutenant Thomas Sætherhaug Pettersen of the Telemark Battalion has served in the Norwegian Army since 2003. He has served in a variety of units, including the Intelligence, Armor, and Telemark battalions where he focused mainly on reconnaissance. Thomas deployed to Afghanistan in 2005, 2006, and 2008 as an enlisted soldier and second lieutenant. From 2009-2012, he attended the Norwegian Military Academy. In August 2017, Thomas deployed to Lithuania as part of NATO's Enhanced Forward Presence, where he served as second-in-command of the Norwegian Armour Company’s second rotation. With Arctic ice melt laying the foundations for a 'Northern Great Game,' the threat of hybrid warfare and grey zone conflict and the renewed interests of near-peer and peer competitors, the Nordic region has become a potential flash point for both European and global security. In our inaugural event, we will be exploring how Denmark, Finland, Norway and Sweden perceive and seek to address current geopolitical concerns and how external actors such as NATO, Russia and the United States view the Nordic region. Join us for the opportunity to better understand the Nordic view of European security from a panel of distinguished experts and meet like minded young professionals with a passion to shape security and foreign policy. Following the discussion, attendees will have an opportunity to continue the conversation over drinks. Elisabeth Braw is a nonresident senior fellow with the Atlantic Council’s Scowcroft Center for Strategy and Security and a senior consultant at the London headquarters of Control Risks, the global risk consulting firm. She was previously a journalist and remains a frequent contributor to The Wall Street Journal, Foreign Affairs, the Financial Times, Defense One, and Politico, focusing on European security. Elisabeth has also been a visiting fellow at the University of Oxford. She is a native of Sweden and attended university in Germany, finishing her Magister Artium degree in political science and German literature with a dissertation on nuclear weapons reduction in Europe. Mathieu Boulegue is a Research Fellow for The Royal Institute of International Affairs Russia and Eurasia Programme at Chatham House. Before joining Chatham House, Mathieu was a partner at the risk management and strategic research consultancy AESMA, where he worked as director of Eurasian affairs. In his research, Mathieu focuses particularly on Eurasian security and defence issues as well as on Russia’s domestic and foreign policy. Having trained as a policy and security analyst in the field of post-Soviet affairs, Mathieu regularly publishes articles and papers on Eurasian security & foreign policy questions. He graduated from Sciences Po Toulouse in France and King’s College London (M.A. International Conflict Studies). Colonel Per Jenvald currently serves as the Swedish Defense Attache to the United Kingdom and Ireland. Per has served in the Swedish Armed Forces for over 30 years in a wide range of assignments, including Commanding Officer of the Swedish Naval Warfare Centre, Head of the Swedish Armed Forces Infrastructure Department, Head of Strategy & Tactics Department at the Swedish Naval Academy and numerous other commands and positions focusing on mine and antisubmarine warfare. He is a member of the Royal Society of Naval Sciences and a graduate of Command and General Staff Course, National Defence College, Stockholm, and holds an MBA from the Stockholm School of Economics.